I was very excited to be asked by Etsy to teach some brush lettering skills to the attendees of its pop-up wedding fair at West Elm. The workshops were ridiculously popular and the tickets sold out within three minutes of launching. 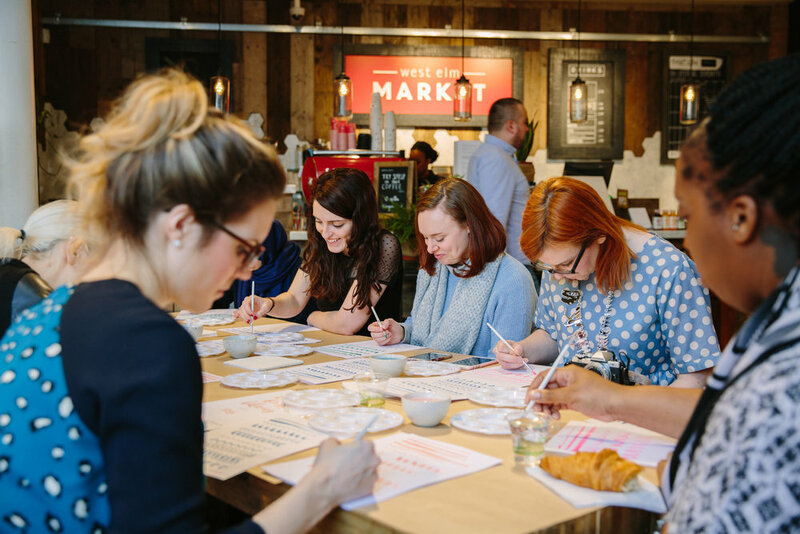 Across two days I taught 24 students how to create beautiful brush lettering, ideal for brides (and grooms) hoping to DIY their wedding stationery. The workshops received a lots of interest on Instagram and on the day from other people attending the fair.